A-N Professional Development Bursary - Diary and reflections of what I will be doing and have done. My career seems to be at a crucial juncture - I am 'here' but want to be 'there'. I have achieved 'this' and now I want to achieve 'that': I want to move on to the Next Stage. It has been a while since I writing my last post. A life event happened in May which deserved my full attention and meant that everything other than day to day life had to be largely put on hold. Things have now since settled, so I have been able to reconfigure. ‘Before’ May, I had had a mentoring session with Morag Ballantyne (part of my A-N Professional Development Bursary) which as usual, was a deep, soul and brain searching exercise – I had been ‘Moragfied’ – I already knew what this felt like as I had experienced this before. It was why I needed her valuable services once again! This session resulted in pages of notes containing some answers to questions, formation of many more questions, realisations and prompts for further exploration of self and practice. Homework was set by Morag, which I now need to tackle – I have applied for an extension! So I will leave writing about all of this until I refreshed myself on my notes and have reflected on my reflections. Now for ‘after’ May. On Monday 1st August I caught the 8.00am (ish) train from Northampton and travelled to London for what proved to be an exhilarating and intense week studying for the Set Design for Performance short course at Central St Martins, led by set designer and lecturer Gary Thorne. What a wonderful experience this was and as this is uppermost in my thoughts I will write about this first, in my next post. 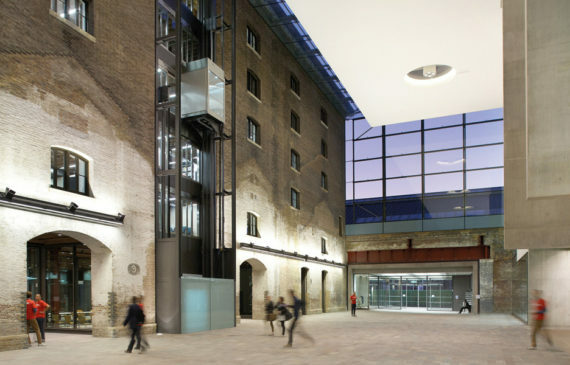 However, I shall leave you with a photograph(sourced from the net) of the amazing new Central St Martins building that houses the wonderful library. 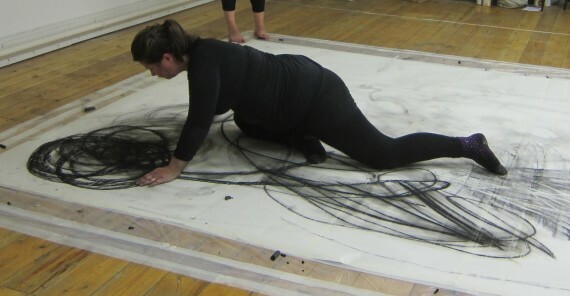 I am an artist and educator whose artistic practice spans disciplines that include Performance and Live Art, Installation, Book Sculptures, Painting, Drawing, Mixed Media Construction and Theatre Devising, Production and Design. Primarily I am motivated by the power of experience and communicating this to an audience. These experiences can range from an intense engagement with a novel, architecture, the natural and urban environments, cultural and personal moments and events. My approach to artistic education is underpinned by my understanding of social pedagogic principles which focus on providing a holistic educational experience; I consider that young people’s emotional and social needs are as equally important to their educational ones. I have worked in arts education with young people for over 20 years, am an artist and Education Coordinator at Fermynwoods Contemporary Art, a Creative Projects Associate at Royal and Derngate Theatre in Northampton, have worked as an Artist Educator with NN Contemporary Art and Full House Theatre in Bedford.